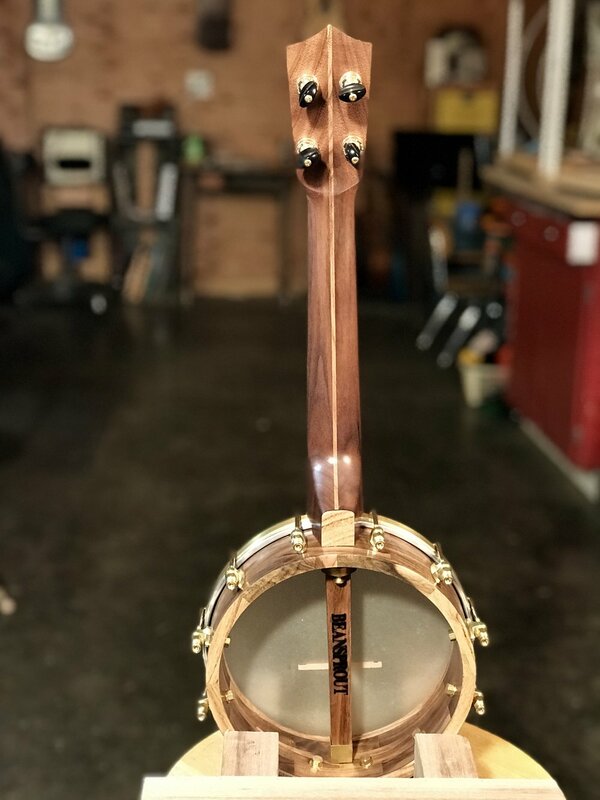 After I sold my last banjo uke while on tour in New Zealand, I threw this one together to finish the tour season. Plain walnut from the Carpenter Ant stash and pistachio from California Orchards. 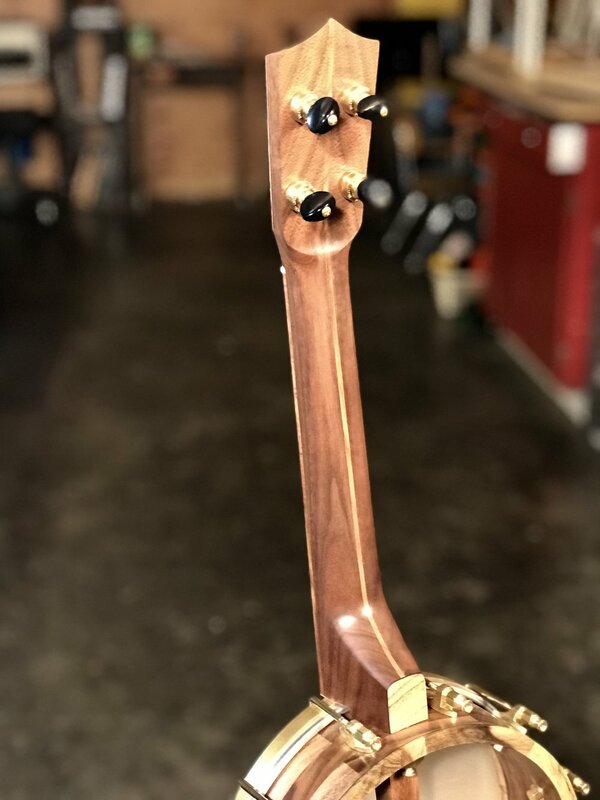 Neat and serviceable, ready to make music.